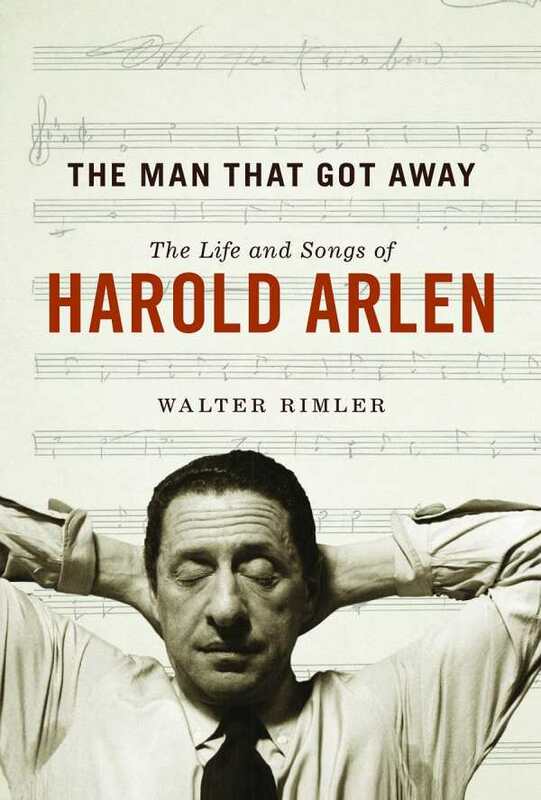 This is a fascinating look at Harold Arlen’s beloved music, mixed with a good dose of name dropping, family drama, and nostalgia. If you’re a member of the “greatest generation,” or even just a lover of the Great American Songbook, you know the work of Harold Arlen, even if the name is unfamiliar. Among Arlen’s oeuvre are such memorable pieces as “Ac-cent-tchu-ate the Positive,” “Blues in the Night,” “Get Happy,” “Come Rain or Come Shine,” and “Stormy Weather.” Add to that his work on feature films and Broadway shows, including his collaboration with Yip Harbug on The Wizard of Oz, and you’re talking about a member of the Mount Rushmore of popular music. Walter Rimler—whose musical literary contributions include biographies on George Gershwin and Cole Porter—chronicles Arlen’s life from his humble (yet rebellious) musical beginnings as the son of an itinerant cantor through his early struggles on the way to his “overnight” and lasting success. At least it seems long lasting; according to the author, Arlen had relatively extended periods of inactivity which resulted in bouts of depression coupled with alcoholism. The situation was exacerbated, no doubt, by the songwriter’s troublesome home life, which gets a fairly equal treatment compared with the more glamorous stories of his entertainment connections. Despite life’s intrusions—or perhaps inspired by them—Arlen continued to collaborate with the cream of the industry, including Harburg, the Gershwin brothers, Johnny Mercer, and Teddy Koehler, among others, churning out dozens of hits. There was a surprising amount of mutual support and admiration in what one would imagine to be a competitive livelihood. The Man That Got Away is a fairly straightforward offering. Rimler at times indulges in a little too much “inside baseball,” discussing nuances in chords and composition structure that will be of interest only to students of music theory. Nevertheless, he provides an impressive overview of the challenges of working in such a demanding environment for Arlen and his contemporaries. The Man That Got Away is a fascinating look at Arlen’s beloved music, mixed with a good dose of name dropping, family drama, and nostalgia.